One of the Common Core standards for first grade is “Use common, proper, and possessive nouns (CCSS.ELA-Literacy.L.1.1b).” Kids first have to first know what common and proper nouns are. Here’s my second worksheet to help kids understand the difference between the two kinds of nouns. 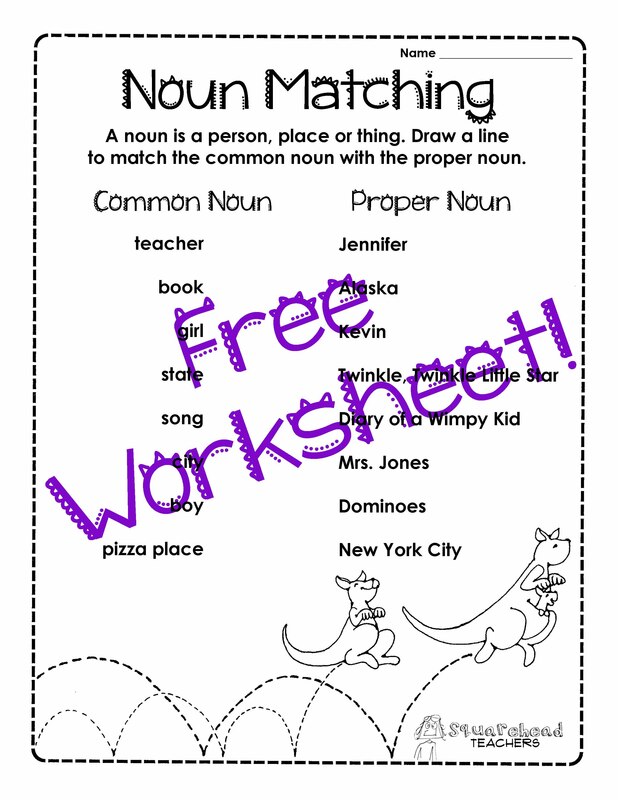 In the worksheet, students match a common noun with its proper noun counterpart. This entry was posted in Grammar, Language Arts and tagged Children, Common core, common noun, Education, Elementary School, Grammar, Homeschool, Kids, nouns, proper noun, Teacher Resources, Teachers, Teaching by Squarehead Teachers. Bookmark the permalink.